Welcome to Vinci & Rakos, a superior collection of custom blended parfums, body, bath and spa care products, as well as specialty gifts, elegantly wrapped gift boxes and exquisite gift baskets. All were created by Dolores M. Vinci to “awaken and stimulate the senses” of discriminating men and women. In addition, welcome to Who Makes Sense? an online gift boutique and emporium featuring unique and one-of-a-kind items. Company Overview of Vinci & Rakos * Who Makes Sense? Finding the right fragrance to help satisfy your changing moods and desires should be easy, exciting and scentually rewarding. Vinci & Rakos offers over 200 Parfums to heighten your senses, present you with lots of choices, and offer you the best opportunity to experience a new and unique scent. The Vinci & Rakos Parfums have been arranged two ways, Alphabetically and by Predominate Notes & Categories to help in the selection of a new scent. The Parfums listed by Predominate Notes & Categories were arranged by a combination of “perceived” predominate notes and categories to help in the selection of a new scent. The Parfum categories and descriptions were based on years of working and listening to the comments, preferences and interpretations of the clients by Dolores. The sense of smell is very subjective, so no one will describe an aroma or odor the same way or agree which category would apply or what notes are in a blend. The descriptions were written with these ideas, thoughts and interpretations in mind, so many of the Parfums are listed in more than one category. If pertinent, a reference to a fragrance type on the market is noted. A Vinci & Rakos Parfum SampleProgram is also available so her clients can experience the parfum blends before purchasing. 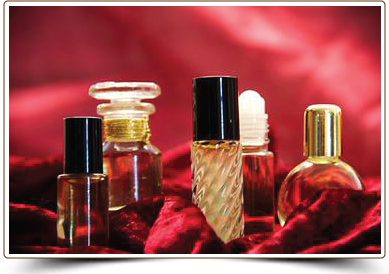 Once chosen, your scent can be extended intoany wellof her fragrance or product formulas. Six fragrance concepts and formula bases were created for your chosen scent. The formulas were developed without added alcohol to help prevent dryness and retain the integrity of your chosen scent. Experience the Parfum, Eau de Vinci Spray, Dry Body Oil Spray, Sheer Spray on Lotion, After Shave Spray on Balm and Solid Parfum formulas. After your bath or shower, gently massage the fragrant formulas onto your skin. Dolores wanted the full concentration of the parfum scent, and the softening properties of the formulas to harmonize simultaneously and envelop the user with sensual satisfaction. Clients can also decide with Dolores on the level of Parfum they would like added to the fragrance formulas. Your favorite fragrance can also be added to the Vinci & Rakos Body, Bath and Spa Care products. Natural botanical extracts, minerals and vitamins are used in the creation of the formulas, and all formulas are non-alcoholic. Formulas are reviewed on a regular basis for potential ingredient updates and changes, such as the removal of parabens and mineral oil. Vinci & Rakos does not condone the use of animal testing by any vendors. According to her parents, the ancestry of Dolores is a combination of Italian and Austrian which helped to influence her logo and packaging designs. 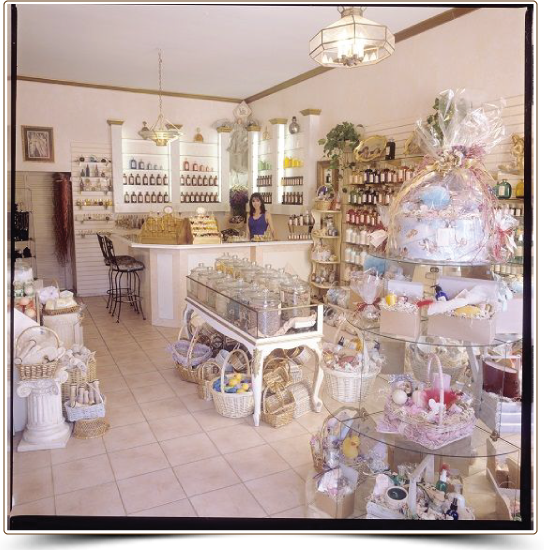 Thoughts of an Italian apothecary shop came to mind as she imagined her products elegantly gracing your home or as a wonderful gift presentation. Even though her packaging was influenced with a European touch, Vinci & Rakos tries to purchase as many of the product formulas, fragrances and packaging in the USA, as possible. “Who Makes Sense?” is the name of the Los Angeles boutique created and operated by Dolores. Click on the Vintage Finds button on the top of the Menu to connect to Who Makes Sense? Over the years, clients have asked her if they can purchase many of the products and items sold in the boutique. The Who Makes Sense? section will feature some of these products and one-of-a-kind items, as well as antique and nostalgic gift surprises.All product and gift items, as well as the elegantly wrapped gift boxes and exquisite gift baskets, are available for shipment throughout the United States and some International Countries. As always, Dolores will make sure that her client orders are shipped with extra special care, and shipped in the most cost effective and efficient way. A special gift will be included in each order depending on the size of the order and which promotional special is in effect. Creator & Owner of Vinci & Rakos * Who Makes Sense? Dolores had extensive background in marketing and product development at major cosmetic companies – Max Factor Cosmetics/ Division of Revlon, Jafra Cosmetics/Division of Gillette and Clairol/Division of Bristol Myers – which prepared her to develop her own line of innovative products. Dolores’s love for fragrance and formulas started when she was a teenager working at the cosmetic counter at the local J. J. Newberry’s. That love continued when she moved to New York City and discovered a product maven at the drug store on Lexington and 53rd Street. The maven introduced Dolores to the world of fragrance, skin care formulations and incredible customer service. Dolores worked at Clairol in the Cosmetic and Hair Care areas in marketing and merchandising. During those days an Associate could also work hand in hand with the laboratory, chemists, packaging engineers and vendors learning from the ground up. While there, she was tested and found that all her senses were heightened, validating what she had always felt about her intense product and fragrance ability. After moving to California, Dolores worked for Jafra Cosmetics as Director of Marketing and New Products in all categories consisting of 60 brands, as well as marketing and new product liaison with the International Division for 24 countries. As Senior Director of Marketing at Max Factor, Dolores was responsible for the fragrance, skin care and new venture businesses from marketing through sales. She directed the creation and development of new concepts for celebrity spokeswomen Jaclyn Smith and Jane Seymour. For Jacyln, two new fragrances were launched: Jaclyn Smith’s California and California for Men. In 1990, Jaclyn Smith’s Fragrance won the prestigious FIFI Award, helping to establish Max Factor as a major force in the US fragrance market. For Jane, the fragrance leJardin was repositioned and re-launched with a more aggressive marketing and merchandising plan, as well as new packaging and advertising to help increase share of the market. In 1991, Dolores left corporate life and opened a specialty boutique and gift emporium in Los Angeles, which was created with a European flair, called Who Makes Sense?. She offered products to lose yourself in luxury, realize your fantasies and “awaken and stimulate” your six senses: smell, touch, sight, sound, taste, spirit and sometimes even your sense of nonsense. 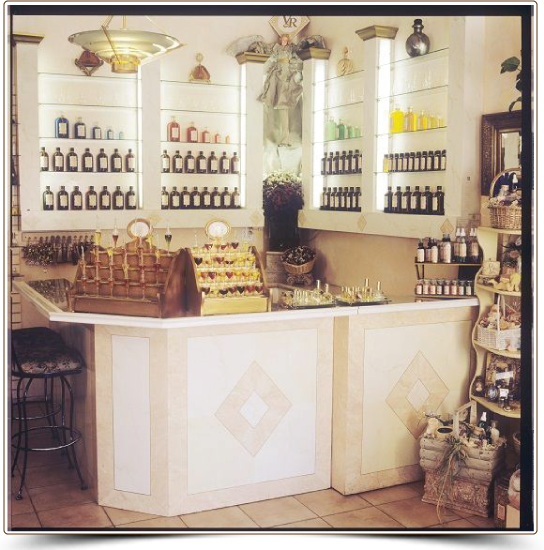 With the look of an Italian apothecary shop, Dolores launched her product line and introduced the personalized Vinci & Rakos Fragrance Bar. At the Fragrance Bar, clients could sniff and smell until they found the scent best suited for them from her Parfum line of Complex Blended Expressions, full fragrances that captured a person’s character, temperament, mood, and body chemistry. Or for those who preferred simplicity, Single Note Expressions were available to reveal and enhance their inner self. A Personalized Parfum could also be created exclusively for them or that special person in their life. Each Parfum was full bodied, undiluted with no added alcohol or extenders. It was at her boutique where Dolores developed the warm and sensual Earth Parfum used by many of Hollywood’s celebrities, which has been the signature scent of Vinci & Rakos for over 26 years. Earth is defined by its warm and sensual combination of white musk and earthly delights with a hint of floral accents. It is warm and sensual but at the same time devastatingly fresh and clean smelling. Both men and women find Earth arousingly exciting. One musky whiff of sensual pleasure will have you coming back for more. The scent of Earth allows everyone’s personality and body chemistry to come through creating a more individual and unique fragrance experience. Earth has been the signature scent of Vinci & Rakos * Who Makes Sense? for over 26 years. Realizing that Dolores did not want to offer typical cologne based fragrances, she developed and launched her unique Dry Body Oil Spray and Eau de Parfum formulas. Both formulas are non-alcoholic and help to prevent dryness and retain the integrity of your chosen scent. Dolores wanted the full concentration of the parfum blend and the softening properties of the formulas to harmonize simultaneously and envelop the user with sensual satisfaction. After eight years, Dolores closed the retail boutique to concentrate on mail order catalogue sales, wholesale, and designed and launched her original website www.vinci-rakos.com. To learn more about the rapidly changing business environment, she concurrently helped introduce and brand new companies specializing in products and services to the hotel, spa and casino industries. 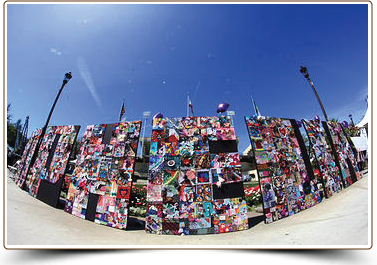 In addition, she implemented a wide variety of innovative advertising projects within the custom publishing, newspaper and TV arenas. Dolores learned that the lives of her clients and potential clients were becoming busier and more hectic, so she wanted to help make their shopping experience much easier. 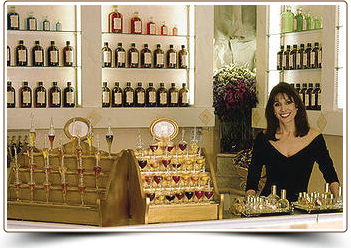 She spent the last few years creating new parfums, formulas and gift items to satisfy their growing needs and desires. Realizing the need to enable a client to transition their fragrance choice throughout the full spectrum of bath and body care products, she has developed this unique shopping location. You are now offered over 200 Parfums from Dolores to heighten the senses and offer the best opportunity to experience a new and personalizing scent. She arranged the Vinci & Rakos Parfums in two ways, Alphabetically and by Predominate Notes & Categories to help in the selection of a scent and to be scentually rewarding. New formulas, such as her Sheer Spray on Lotion, After Shave Spray on Balm, Solid Parfum, Creamy Body & Massage Butter and Luxurious Body & Massage Cream were introduced to delight and satisfy the needs of her clients, as well as her scented candles in the fragrances of warm and sensual Earth and fresh and floral Radiance. 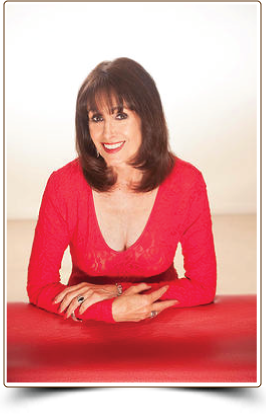 Dolores designed her new website employing many ideas and suggestions that came from clients during their conversations. These ideas were used to enhance the functionality of the site and help provide the ultimate online shopping experience. There is more detailed product information and a wealth of helpful hints you will want to learn and explore. On the front of her website, she added three easy to click on Buttons: Specials/Features, Current Newsletters and 200+ Parfums. Specials/Features: With the internet and social media becoming more important and user friendly, Dolores sends out a mailing through Constant Contact every three or four weeks. It is the perfect way to stay in touch about new scents, formulas and Vinci & Rakos and Who Makes Sense? special promotions. A copy of the mailing is found under the Specials/Features which also then allows new clients to the site to take advantage of the current special. Current Newsletter: The Newsletter usually gives helpful hints about transitioning from Season to Season and mentions client comments, as well as product features. 200+ Parfums: The list of Parfums is By Predominate Notes & Categories. The Parfum categories and descriptions were based on years of working and listening to the comments, preferences and interpretations of my clients, as well as their memories, so the descriptions were written with that in mind. In addition, Dolores is introducing a link on her site called “Who Makes Sense?” named after her Los Angeles boutique from the 90’s. Over the years, her clients have asked if they can purchase many of the specialty gifts and collectibles that were sold at her store. The Who Makes Sense? section will feature many of these items, as well as one-of a-kind antique and nostalgic pieces. The selection of items featured on the Who Makes Sense? site will be updated on a regular basis and as the one-of-a-kind items are sold. Click on the Vintage Finds button on the top of the Menu to connect to Who Makes Sense? Dolores maintains a personal folder on each of her clients to keep track of their fragrance choices, product preferences and comments. Many of her clients go back nearly 25 years. Every order placed with Vinci & Rakos * Who Makes Sense? receives a gift. Dolores looks forward to working with her clients on the selection of a new scent, choosing body and bath care formulas beneficial to them, and to help with their gift giving needs. 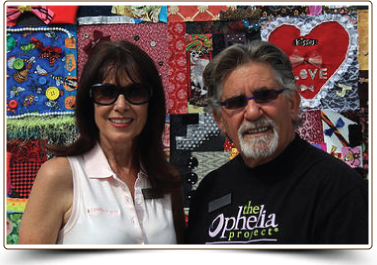 Dolores believes in giving back to her community and was a member of the Ophelia Project. The Project provides educational and skill-building opportunities for over 500 adolescent girls, aimed at increasing their knowledge of career options, coping skills and self-esteem while promoting positive values. The objective is to encourage young girls to develop hope for the future and to acquire the skills necessary to make their dreams a reality. Dolores brought the concept of Art Awareness to the Ophelia Project to help enhance academic achievement, provide an outlet of expression for the girls, stimulate their creativity and increase their appreciation for the arts, and was the Art Committee Chair for five years. In 2014, she was given The Ophelia Outstanding Five Years of Excellence Award and in 2011 was voted Mentor of the Year by her peers. Dolores M. Vinci, Creator & Owner of Vinci & Rakos * Who Makes Sense?